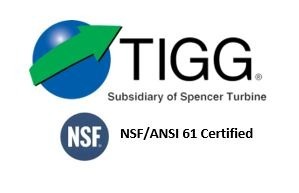 TIGG provides soil vapor extraction equipment that is used during the dual phase process of liquid and vapor filtration. We have a large, in-stock inventory of equipment available for sale or ready to rent. In soil vapor extraction remediation, the contaminated vapors are drawn from the soil via a vacuum pump and passed through an adsorber containing the appropriate adsorbent. The discharge temperature from the vacuum pump can reach 140+ degrees F.
In order to get the best capacity for adsorption of organics on the carbon and to prevent ignition of the organic-laden activated carbon, the adsorber is located on the suction side of the pump. TIGG provides soil vapor extraction equipment that is used during the dual phase process of liquid and vapor filtration. Vapor phase soil vapor extraction adsorbers include TIGG’s PDB, EVP, and EV lines. Also, TIGG’s liquid phase adsorbers are ideal to treat condensate generated by soil vapor extraction. TIGG has a large, in-stock inventory of equipment available for sale or ready to rent. The customer was removing chlorinated hydrocarbons from contaminated soil in a soil vapor extraction site. Consequently, a high concentration of hydrocarbons and high water vapor content off-gas was generated. 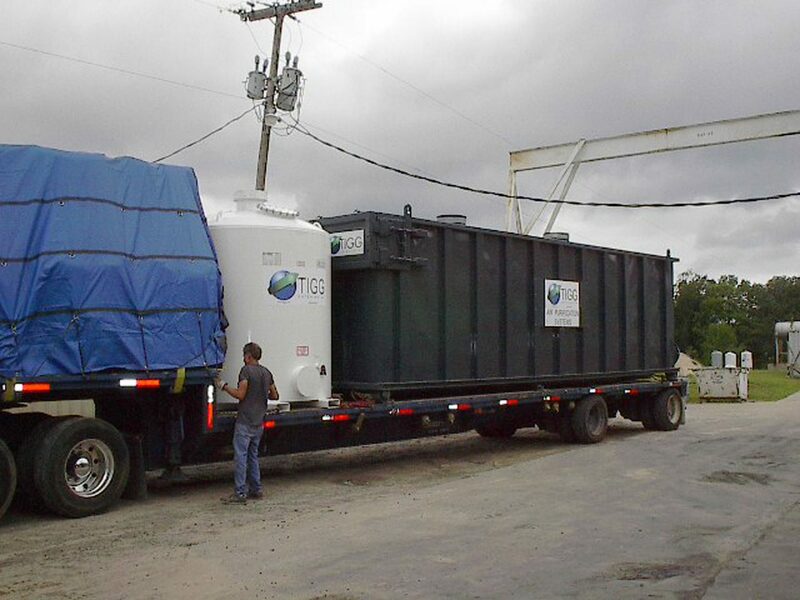 TIGG provided a demister with an automated condensate pump and two NB20 vapor phase adsorbers, each containing 20,000 lb. of carbon. On a weekly basis, TIGG managed on-site exchange and disposal of spent carbon. The process soil vapor extraction solution was more economical than an incineration process due to the high chlorinated hydrocarbon content in the vapor steam.